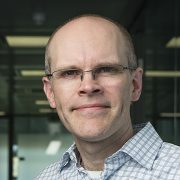 Steve Hodges joined Microsoft’s Cambridge research lab in 2004 with the ambition of building hardware systems that change people’s perceptions of technology and how it can be used. He founded and led the Sensors and Devices research group, exploring emerging hardware technologies and creating compelling novel interactive devices and experiences for individuals, communities and organizations. Through collaborations within Microsoft and with external partners, many of his innovations have successfully made the transition to product. Steve subsequently led hardware strategy and development for the Azure Sphere connected device security solution. Steve’s technical expertise spans interactive systems, connected devices, wireless communications, novel sensing and displays, embedded camera systems, location systems, energy management, security, wearable technologies and rapid prototyping. He collaborates widely to conceive, develop and evaluate and disseminate creative new ideas in domains which include the internet of things, mobile computing, assistive technologies, computer science education and the developer and maker communities. By combining hardware-related research insights with emerging technologies he aims to seed new concepts, tools and technologies in the market. During his career he has developed and explored numerous technologies and devices. Projects such as Azure Sphere, BBC micro:bit, Sensecam, .NET Gadgeteer, the EPC, software-defined batteries, the Touch Mouse, Kinect Fusion, Circuit Stickers, the Active Bat, and ThinSight are good examples of impactful research which has influenced a wide community and created new market opportunities. Steve has filed over 130 patents and has published over 60 top-tier peer-reviewed papers with over 12,000 citations and has an h-index of 41. His ORCID is 0000-0001-9314-7762. See Steve’s full bio on the ‘Bio’ tab. User interface control using a keyboard, H LaFave, S Hodges, J Scott, S Izadi, D Molyneaux, N Villar, DA Butler, M Hazas, US Patent 9,851,809, filed 14 March 2016, issued 26 Dec 2017. Continuation of below. Wearable audio accessories for computing devices, SE Hodges, J Helmes, M Philipose, NAB Priyantha, US Patent 9,807,495, filed 25 Feb 2013, issued 31 Oct 2017. Removable input/output module with adjustment mechanism, JFM Helmes, S Taylor, SE Hodges, US Patent 9,778,778, filed 25 Nov 2014, issued 3 Oct 2017. Load scheduling for multi-battery devices, B Huang, JL Meinershagen, T Moscibroda, SE Hodges, R Chandra, US Patent 9,760,138, filed 25 Apr 2015, issued 12 Sept 2017. Load allocation for multi-battery devices, B Huang, T Moscibroda, R Chandra, SE Hodges, JL Meinershagen, NAB Priyantha, A Badam, P Hu, AJ Ferrese, E Skiani, US Patent 9,748,765, filed 26 Feb 2015, issued 29 Aug 2017. Controlling hardware in an environment, K Lobb, A Wilson, SE Hodges, US Patent 9,740,187, filed 21 Nov 2012, issued 22 Aug 2017. Charging device for removable input modules, SE Hodges, S Taylor, JFM Helmes, US Patent 9,711,980, filed 25 Nov 2014, issued 18 July 2017. Pointing device using proximity sensing, DA Butler, N Villar, J Helmes, S Izadi, SE Hodges, D Rosenfeld, H Benko, US Patent 9,703,398, filed 16 June 2009, issued 11 July 2017. Battery parameter-based power management for suppressing power spikes, R Chandra, SE Hodges, JL Meinershagen, NAB Priyantha, A Badam, T Moscibroda, P Hu, AJ Ferrese, E Skiani, US Patent 9,696,782, filed 9 Feb 2015, issued 4 July 2017. Wide angle depth detection, A Wilson, H Benko, J Kapur, SE Hodges, US Patent 9,696,427, filed 14 Aug 2012, issued 4 July 2017. Optimizing 3D printing using segmentation or aggregation, DA Butler, N Villar, JW Scott, SE Hodges, US Patent 9,636,871, filed 21 Aug 2013, issued 2 May 2017. Interactive badge, SE Hodges, NT Pohl, J Helmes, N Villar Martinez, TS Paek, JT Apacible, US Patent 9,606,635, filed 15 Feb 2013, Issued 28 Mar 2017. Removable input module, S Hodges, S Taylor, J Helmes, US Patent 9,529,447, filed 25 Nov 2014 issued Dec 27, 2016. Augmented reality with direct user interaction, O Hilliges, D Kim, S Izadi, D Molyneaux, S Hodges, DA Butler, US Patent 9,529,424, filed 5 Nov 2010, issued 27 Dec 2016. Indirect multi-touch interaction, J Helmes, N Villar, H Benko, S Izadi, D Rosenfeld, S Hodges, DA Butler, X Cao, R Banks, US Patent 9,513,798, filed 1 Oct 2009, issued 6 Dec 2016. Securely joining a secure wireless communications network, J Scott, AJ Brush, R Mahajan, S Hodges, US Patent 9,392,450, filed 12 Jan 2015, issued 12 July 2016. Code suggestions, N Villar, J Scott, S Hodges, A Schmidt, US Patent 9,383,973, filed 29 June 2011, issued 5 July 2016. Gesture recognition techniques, D Kim, O Hilliges, S Izadi, PL Oliver, JDJ Shotton, P Kohli, DG Molyneaux, SE Hodges, AW Fitzgibbon, US Patent 9,372,544, filed 16 May 2014, issued 21 June 2016. Continuation of below. User interface control using a keyboard, H LaFave, S Hodges, J Scott, S Izadi, D Molyneaux, N Villar, DA Butler, M Hazas, US Patent 9,292,194, filed 24 June 2013, issued 22 Mar 2016. Continuation of below. Optimizing battery use for known future load, S Hodges, R Chandra, JL Meinershagen, J Scott, US Patent 9,285,851, filed 22 June 2012, issued 15 Mar 2016. Reducing interference between multiple infra-red depth cameras, S Izadi, D Molyneaux, O Hilliges, D Kim, JDJ Shotton, SE Hodges, DA Butler, AW Fitzgibbon, P Kohli, US Patent 9,247,238, filed 31 Jan 2011, issued 26 Jan 2016. Real-time camera tracking using depth maps, R Newcombe, S Izadi, D Molyneaux, O Hilliges, D Kim, JDJ Shotton, P Kohli, A Fitzgibbon, SE Hodges, DA Butler, US Patent 9,242,171, filed 23 Feb 2013, issued 26 Jan 2016. Continuation of below. Inferring building metadata from distributed sensors, JW Scott, I Constandache, SE Hodges, US Patent 9,240,111, filed 6 Oct 2010, issued 19 Jan 2016. Speckle sensing for motion tracking, NY-C Chen, SE Hodges, AW Fitzgibbon, AC Goris, BL Hastings, S Izadi, US Patent 9,208,566, filed 9 Aug 2013, issued 8 Dec 2015. Input through sensing of user-applied forces, JW Scott, S Izadi, SE Hodges, DA Rosenfeld, MG Molloy, US Patent 9,201,538, filed 15 July 2014, issued 1 Dec 2015. Continuation of below. Occupancy prediction using historical occupancy patterns, JC Krumm, JW Scott, AJB Brush, BR Meyers, SE Hodges, US Patent 9,176,485, filed 2 June 2011, issued 3 Nov 2015. Gestures, interactions, and common ground in a surface computing environment, MJ Morris, EJ Horvitz, AD Wilson, SE Hodges, KP Hinckley, DA Butler, IM Sands, VK Russ, H Benko, SR LeProwse, S Izadi, WB Kunz, US Patent 9,134,798, filed 15 Dec 2008, issued 15 Sept 2015. Sensing floor for locating people and devices, N-W Gong, SE Hodges, N Villar, JA Paradiso, US Patent 9,077,343, filed 6 June 2011, issued 7 July 2015. Manipulation of graphical objects, J Williamson, LM Brown, JW Scott, SE Hodges, US Patent 9,070,229, filed 16 Nov 2012, issued 30 June 2015. Continuation of below. User input using proximity sensing, SE Hodges, DA Butler, S Izadi, M Hall, US Patent 9.063,577, filed 28 April 2013, issued 23 June 2015. Continuation of below. Generating computer models of 3D objects, JDJ Shotton, S Izadi, O Hilliges, D Kim, D Molyneaux, P Kohli, A Fitzgibbon, SE Hodges, US Patent 9,052,571, filed 6 June 2011, issued 9 June 2015. Securely joining a secure wireless communications network, J Scott, AJB Brush, R Mahajan, S Hodges, US Patent 8.948,390, filed 29 Sept 2012, issued 3 Feb 2015. Embedded system development platform, SE Hodges, DA Butler, S Izadi, C-C Han, US Patent 8.948,184, filed 4 April 2012, issued 3 Feb, 2015. Continuation of below. Distributed asynchronous localization and mapping for augmented reality, A Balan, J Flaks, S Hodges, M Isard, O Williams, P Barham, S Izadi, O Hilliges, D Molyneaux, D Kim, US Patent 8.933,931 filed 28 Nov 2012, issued 13 Jan 2015. Power transfer between devices, JW Scott, SE Hodges, US Patent 8,898,485, filed 15 July 2009, issued 25 Nov 2014. Reconfigurable clip-on modules for mobile computing devices, J Helmes, S Taylor, SE Hodges, N Villar, JW Scott, US Patent 8,858,335, filed 18 Jan 2013, issued 14 Oct 2014. Input through sensing of user-applied forces, JW Scott, S Izadi, SE Hodges, DA Rosenfeld, MG Molloy, US Patent 8,803,797, filed 18 Jan 2008, issued 12 Aug 2014. Distribution of keys for encryption/decryption, SE Hodges, KR Wood, J Srinivasan, A Sellen, US Patent 8,787,580, filed 24 Nov 2006, issued 22 July 2014. Gesture recognition techniques, D Kim, O Hilliges, S Izadi, PL Oliver, JDJ Shotton, P Kohli, DG Molyneaux, SE Hodges, AW Fitzgibbon, US Patent 8,760,395, filed 31 May 2011, issued 24 June 2014. Mobile camera localization using depth maps, R Newcombe, S Izadi, D Molyneaux, O Hilliges, D Kim, JDJ Shotton, P Kohli, A Fitzgibbon, SE Hodges, DA Butler, US Patent 8,711,206, filed 31 Jan 2011, issued 29 april 2014. Volumetric display system enabling user interaction, DA Butler, SE Hodges, S Izadi, S Taylor, N Villar, US Patent 8,704,822, filed 17 Dec 2008, issued 22 April 2014. Touch Discrimination, SE Hodges, H Benko, IM Sands, DA Butler, S Izadi, WB Kunz, KP Hinckley, US Patent 8,681,127, filed 22 April 20013, issued 25 March 2014. Continuation of below. Self-Describing Data Framework, CD Karkanias, SE Hodges, US Patent 8,615,404, filed 23 Feb 2007, issued 24 Dec 2013. Automatic Capture Modes, K Wood, S Hodges, L Williams, J Srinivasan, C Rother, A Criminisi, J Chiloyan, US Patent 8,587,670, filed 16 Nov 2006, issued 19 Nov 2013. Also European Patent Application EP1793580, filed 5 Dec 2012 and Patent Application WO/2007/067335, filed 16 Nov 2006. Three-Dimensional Environment Reconstruction, R Newcombe, S Izadi, D Molyneaux, O Hilliges, D Kim, JDJ Shotton, SE Hodges, DA Butler, AW Fitzgibbon, P Kohli, US Patent 8,587,583, filed 31 Jan 2011, issued 19 Nov 2013. Also Patent Application WO/2012/106069, filed 9 Jan 2012. Fingertip Detection for Camera Based Multi-Touch Systems, S Izadi, S Taylor, SE Hodges, US Patent 8,581,852, filed 15 Nov 2007, issued 12 Nov 2013. Using a Three-Dimensional Environment Model in Gameplay, S Izadi, D Molyneaux, O Hilliges, D Kim, JDJ Shotton, P Kohli, A Fitzgibbon, S Hodges, D Butler, US Patent 8,570,320, filed 31 Jan 2011, issued 29 Oct 2013. Also Patent Application WO/2012/106070, filed 9 Jan 2012. Transferring of Digital Images, K Wood, S Hodges, L Williams, M Goldberg, C Rother, A Criminisi, J Srinivasan, US Patent 8.558.917, filed 24 Nov 2006, issued 15 Oct 2013. Also European Patent Application EP1793581 (Automatic selection of images for transfer depending on connection characteristics) filed 5 Dec 2005 and Patent Application WO/2007/067373, filed 24 Nov 2006. Device Sensor and Actuation for Web Pages, A Schmidt, N Villar, J Scott, S Hodges, US Patent 8,521,848, filed 28 June 2011, issued 27 Aug 2013. Reducing Power Consumption by Offloading Applications, JW Scott, Y Agarwal, SE Hodges, R Chandra, P Bahl, US Patent 8,510,577, filed 28 July 2008, issued 13 Aug 2013. Tabletop Display Providing Multiple Views to Users, DA Butler, SE Hodges, S Izadi, N Villar, S Taylor, D Molyneaux, O Hilliges, US Patent 8,502,816, filed 2 Dec 2010, issued 6 Aug 2013. Automatic Addressing Protocol for a Shared Bus, J Scott, N Villar, MD Hazas, SE Hodges, US Patent 8,478,917, filed 22 Sept 2010, issued 2 Jul 2013. User Interface Control Using a Keyboard, H LaFave, S Hodges, J Scott, S Izadi, D Molyneaux, N Villar, DA Butler, M Hazas, US Patent 8,471,814, filed 26 Feb 2010, issued 25 Jun 2013. Infrared sensor integrated in a touch panel, W den Boer, SN Bathiche, SE Hodges, S Izadi, US Patent 8,466,902, filed 11 March 2011, issued 18 Jun 2013. Continuation of below. Surface Puck, SN Bathiche, H Benko, SE Hodges, S Izadi, DA Butler, WB Kunz, SR LeProwse, US Patent 8,436,789, filed 16 Jan 2009, issued 7 May 2013. User Input Using Proximity Sensing, DA Butler, S Izadi, SE Hodges, M Hall, US Patent 8,432,372, filed 30 Nov 2007, issued 30 April 2013. Also Patent Application WO/2009/073262, filed 18 Sept 2008. Touch Discrimination, SE Hodges, H Benko, IM Sands, DA Butler, S Izadi, WB Kunz, KP Hinckley, US Patent 8,432,366, filed 3 March 2009, issued 30 April 2013. Infrared sensor integrated in a touch panel, W den Boer, SN Bathiche, SE Hodges, S Izadi, US Patent 8,411,070, filed 11 March 2011, issued 2 Apr 2013. Continuation of below. Real-Time Camera Tracking Using Depth Maps, R Newcombe, S Izadi, D Molyneaux, O Hilliges, D Kim, JDJ Shotton, P Kohli, AW Fitzgibbon, SE Hodges, P Kohli, US Patent 8,401,242, filed 31 Jan 2011, issued 19 March 2013. Moving Object Segmentation Using Depth Images, R Newcombe, S Izadi, O Hilliges, D Kim, D Molyneaux, JDJ Shotton, P Kohli, AW Fitzgibbon, SE Hodges, DA Butler, US Patent 8,401,225, filed 31 Jan 2011, issued 19 March 2013. Ferromagnetic User Interfaces, S Taylor, J Hook, S Izadi, N Villar, DA Butler, SE Hodges, US Patent 8,400,410, filed 26 May 2009, issued 19 March 2013. Motion Triggered Data Transfer, S Hodges, S Izadi, DA Butler, US Patent 8,391,786, filed 25 Jan 2007, issued 5 March 2013. Touch sensing using shadow and reflective modes, S Izadi, S Hodges, DA Butler, A Rrustemi, US Patent 8,368,663, filed 7 Dec 2011, issued 5 Feb 2013. Unique identification of devices using color detection, S Izadi, M Hall, SE Hodges, W Buxton, DA Butler, US Patent 8,325,020, filed 31 Jan 2011, issued 4 Dec 2013. Manipulation of Graphical Objects, J Williamson, LM Brown, JW Scott, SE Hodges, US Patent 8,314,817, filed 19 Oct 2011, issued 20 Nov 2013. Memory Training via Visual Journal, CD Karkanias, SE Hodges, EL Berry, GE Browne, HL Williams, KR Wood, SG Smyth, US Patent 8,287,281, filed 6 Dec 2006, issued 16 Oct 2012. Also Patent Application WO/2008/070790, filed 6 Dec 2007 and European Patent Application EP2097886, filed 6 Dec 2007. Resource Aggregation in an Opportunistic Network, CD Karkanias, SE Hodges, US Patent 8,285,259, filed 29 May 2007, issued 9 Oct 2012. Projection of images onto tangible user interfaces, S Taylor, S Izadi, DA Rosenfeld, S Hodges, DA Butler, J Scott, N Villar, US Patent 8,272,743, filed 24 Oct 2011, issued 25 Sept 2013. Communication with a Touch Screen, S Izadi, S Hodges, DA Butler, A Rrustemi, US Patent 8,269,746, filed 29 March 2007, issued 18 Sep 2012. Also Patent Application WO/2008/121908, filed 29 March 2008 and European Patent Application EP2130112, filed 29 March 2008. Location system and communication system, AMR Ward, SE Hodges, PJ Steggles, RWM Curwen, JF Newman, US Patent 8,264,319, filed 15 May 2008, issued 11 Sept 2012. Also continuation below. Health-related opportunistic networking, CD Karkanias, SE Hodges, JW Scott, US Patent 8,260,272, filed 1 Sept 2011, issued 4 Sept 2012. Continuation of below. Playback of Digital Images, K Wood, S Hodges, L Williams, J Srinivasan, C Rother, A Criminisi, US Patent 8,249,397, filed 16 Nov 2006, issued 21 Aug 2012. Also Patent Application WO/2007/067334, filed 16 Nov 2006 and European Patent Application EP1793577, filed 16 Nov 2006. Archive for Physical and Digital Objects, S Izadi, AJ Sellen, RM Banks, S Taylor, SE Hodges, US Patent 8,199,117, filed 9 May 2007, issued 12 Jun 2012. Embedded System Development Platform, SE Hodges, DA Butler, S Izadi, CC Han, US Patent 8,175,099, filed 14 May 2007, issued 8 May 2012. Touch sensing using shadow and reflective modes, S Izadi, S Hodges, DA Butler, A Rrustemi, US Patent 8,094,129, filed 29 Mar 2007, issued 10 Jan 2012. Also continuation above, European Patent Application EP2130111, filed 29 March 2008 and Patent Application WO/2008/121,906, filed 29 March 2008. Low power operation of networked devices, SE Hodges, Y Agarwal, JW Scott, R Chandra, P Bahl, US Patent 8,068,433, filed 26 Nov 2007, issued 29 Nov 2011. Also Patent Application WO/2009/070,367, 2009 and European Patent Application EP2215781, filed 16 Sept 2008. Manipulation of Graphical Objects, J Williamson, LM Brown, JW Scott, SE Hodges, US Patent 8,068,121 filed 29 Jun 2007, issued 29 Nov 2011. Also continuation above. Projection of images onto tangible user interfaces, S Taylor, S Izadi, DA Rosenfeld, S Hodges, DA Butler, J Scott, N Villar, US Patent 8,042,949, filed 2 May 2008, issued 25 Oct 2011. Also European Patent application EP2271965, filed 27 March 2009 and continuation above. Health-related opportunistic networking, CD Karkanias, SE Hodges, JW Scott, US Patent 8,032,124, filed 28 Feb 2007, issued 4 Oct 2011. Also Patent Application WO/2008/106,301, filed 11 Feb 2008. Information access to self-describing data framework, CD Karkanias, SE Hodges, US Patent 8,005,692, filed 23 Feb 2007, issued 23 Aug 2011. Also Patent Application WO/2008/103,967, filed 22 Feb 2008. Haptic support and virtual activity monitor, CD Karkanias, SE Hodges, US Patent 7,993,291, filed 29 May 2007, issued 9 Aug 2011. Also Patent Application WO/2008/150,746, 2008. Patient monitoring via image capture, CD Karkanias, SE Hodges, US Patent 7,983,933, filed 6 Dec 2006, issued 19 Jul 2011. Also Patent Application WO/2008/070,759, filed 6 Dec 2007 and European Patent Application EP2122558, filed 6 Dec 2007. Infrared sensor integrated in a touch panel, W den Boer, SN Bathiche, SE Hodges, S Izadi, US Patent 7,924,272, filed 27 Nov 2006, issued 12 Apr 2011. Physical activity manager, CD Karkanias, SE Hodges, US Patent 7,914,419, filed 29 May 2007, issued 29 Mar 2011. Unique identification of devices using color detection, S Izadi, M Hall, SE Hodges, W Buxton, DA Butler, US Patent 7,884,734, 2011, filed 31 Jan 2008, issued 8 Feb 2011. Also Patent Application WO/2009/099,488, filed 23 Dec 2008 and continuation above. Automatic localization of devices, S Hodges, J Chiloyan, US Patent 7,860,516, filed 5 Dec 2006, issued 28 Dec 2010. Also Patent Application WO/2008/070,690, filed 4 Dec 2007 and European Patent Application EP2089996, filed 4 Dec 2007. Controlling a telecommunications device, R Harper, J Gebhardt, SE Hodges, US Patent 7,376,395, filed 30 Jun 2005, issued 20 May 2008. Also European Patent Application EP1886426, filed 29 June 2006. Triggering data capture based on pointing direction, JW Scott, I Budvytis, SE Hodges, US Patent 7,720,364, filed 30 Jan 2008, issued 18 May 2010. Location system and communication, AMR Ward, SE Hodges, PJ Steggles, RWM Curwen, JF Newman, US Patent 7,388,464, filed 19 Feb 2002, issued 17 Jun 2008. User interface systems, AMR Ward, SE Hodges, PJ Steggles, US Patent 7,295,101, filed 2 May 2002, issued 13 Nov 2007. Steve was Technical Director of the European Auto-ID Center (now Auto-ID Labs), the organisation which created the term ‘Internet of Things‘ as it sought to connect every item in the global supply chain to the internet. At the Auto-ID Center he contributed to the initial specifications for a replacement barcode based around radio frequency identification. The work was sponsored by over 100 international companies, and has subsequently been rolled-out worldwide to augment and in some cases replace barcodes in various aspects of supply chain management. A new organisation, EPCglobal, was set up by EAN and UCC (the barcode custodians) and now manages international standardisation. Whilst at the Auto-ID Center, Steve initiated the European Adoption Programme to allow European businesses such as Ahold, Carrefour, Gillette, Kraft, Metro Group, Nestlé, Procter & Gamble, Tesco and Unilever, to develop a common approach to EPCglobal roll out. At Olivetti and Oracle/AT&T Laboratories, Steve spent several years working on the ‘bat’ ultrasonic indoor location system, which was developed to generate fine-grained location information about people and objects in an office environment. 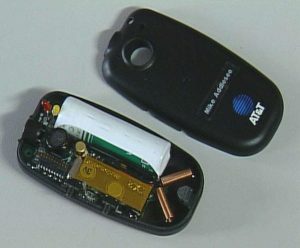 A battery-powered tag (the ‘Bat’) is worn by users or attached to equipment. The Bat emits ultrasonic signals when requested by a central controller, and the time-of-flight of the ultrasonic pulses is detected by a number of receivers mounted in the ceiling. The Bat supports a two-way radio communication channel which also allows limited information to be signalled to and from the user. Through aggressive power saving techniques, an 18 month+ lifetime was achieved from the single Lithium AA cell. The location of the wearer can be calculated by measuring time-of-flight of an ultrasonic pulse from the Bat to an array of ceiling receivers. Inside the Active Bat, the main components are the AA-sized battery (white), the radio transmitter (gold) and receiver (hidden), and the antennas (copper). 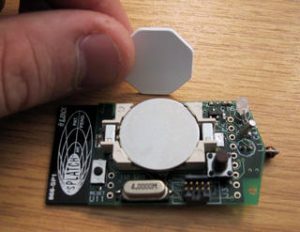 A later incarnation of the Bat system was a cheaper location system based on RFID, which is suitable for many applications. Once again, there is a two-way radio communication system that can support interaction with the user through push buttons, LEDs and a buzzer. This prototype used LF (125kHz) RFID, and an in-house developed 868MHz low-power radio module for communications with the central control system. Whilst at Cambridge University, Steve also helped with the design of early prototypes of the Splashpower wireless power system. Splashpower provided a convenient new way of powering your mobile phone and other portable electronic devices simply by laying them on a single wireless charging platform. 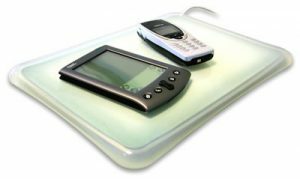 This technology was a forerunner of the increasingly ubiquitous Qi wireless power standard. The company was ultimately acquired by Fulton Innovations. In 1993, Steve built an ‘Interactive Office’ at the Xerox Research Centre Europe at Cambridge (formerly known as EuroPARC). This involved embedding a large number of sensors, such as microphones, movement detectors and pressure sensors into the office environment. These sensors were connected to the in-building electronic network via a specially-developed network interface. In addition, various pieces of electronic equipment such as answering machines and the entertainment system were also network-enabled. This allowed applications to be developed and run on a server for the office, that acted in various ways to support the office user – for example, preventing incoming phone calls when a meeting was detected. Although many of the ideas explored in this work and the approach taken to their implementation are commonplace today, at the time of this work, they were pretty radical. Robocup is a competition where teams of wheeled robots play five-a-side football against each other. In the middle-sized league, the robots play with a golf-ball on a pitch the size of a table-tennis table; a camera above the table monitors the players and is connected to a server which can then relay commands to the players via radio. In 1998 Steve designed and built a goalkeeper robot as part of the Cambridge University Laboratory for Communications Engineering Robocup team. The robot was unique in its use of compressed CO2 as a propellant for goal-kicks, and the team reached the semi-finals. Whilst a graduate student at Cambridge University in 1993, Steve developed a novel image-processing technique called partial summation. Partial summation applies a technique used in computational geometry to pre-process certain types of images so that the subsequent analysis of these images may, under certain circumstances, be speeded-up significantly. For example, median filtering of binary images can be performed independently of the size of the filter, enabling multi-scale filtering to be carried out in significantly reduced time compared with traditional approaches. An example application is the morphological processing of an image of a bare PCB (printed circuit board). During his PhD at Cambridge University Engineering Department, Steve explored the concept of an ultra low-cost robotic PCB (printed circuit board) assembly machine. 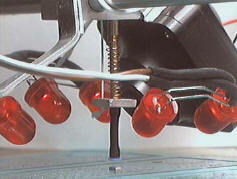 In order to compensate for low-cost, low-specification mechanical construction, the machine relied on the use of visual feedback from the assembly head in order to iteratively refine each placement location. Whilst this approach is much slower than that used in traditional PCB assembly automation, it is also much cheaper, making the machine attractive in a number of industry verticals. During the course of the work, a number of vision and adaptation algorithms were explored, in addition to the development of the prototype machine itself. Steve is a fellow of the IET and a senior member of the IEEE. He has filed over 130 patents and has published over 60 top-tier peer-reviewed papers with over 12,000 citations and an h-index of 41. He has also worked with standardization bodies such as the BSI and ISO, and has presented his work at OECD and European Commission meetings. His research has frequently been covered by the popular media including Time Magazine, Science, Scientific American, New Scientist and the BBC. Steve’s ORCID is 0000-0001-9314-7762. Steve is also active in the academic community. He is a visiting Professor in Digital Interaction at the School of Computing Science, Newcastle University. He is Associate Editor-in-chief of IEEE Pervasive Computing magazine. He publishes his research extensively and has received awards at many top-tier conferences including CHI, UbiComp and UIST. He has also received several awards at Maker Faire. Steve led the SenseCam wearable camera research project from 2004 to 2010 and founded the annual SenseCam Symposium. There are over 200 peer-reviewed publications and 8 PhD theses from research groups around the world who have used Sensecam, and there have been SenseCam-themed special issues of both the American Journal of Preventive Medicine and Memory . It has also been featured on national television and radio several times, and covered by the press on numerous occasions. The device was commercialised in partnership with Microsoft as the Vicon Revue and also as the OMG Autographer, and other companies have brought similar devices to market. Steve has been a passionate advocate of physical computing for computer science education for many years. He was a key contributor to the BBC micro:bit project, providing leadership of the hardware design to ensure the successful delivery of 1,000,000 physical computing devices to school children across the UK in 2016. In October 2018 the BBC announced that 2,000,000 micro:bits had shipped globally to over 5o countries. Steve also led the team which developed the .NET Gadgeteer platform which enjoyed much success in schools across the world. Around half a dozen companies such as GHI Electronics have made over 100 different hardware modules for .NET Gadgeteer. Other products and technologies which Steve has contributed to include Azure Sphere, the Microsoft Touch Mouse, software-defined batteries, Kinect Fusion and SecondLight. Prior to joining Microsoft Research, Cambridge, Steve was the Technical Director of the Cambridge Auto-ID Center, where he helped to develop and usher in the Electronic Product Code (or EPC), an RFID-based successor to the barcode for tracking goods through supply chains. Along the way the Auto-ID Center coined the term ‘Internet of Things’. Steve also co-founded an RFID training and consultancy company. Before that, Steve worked as a Research Engineer at the Olivetti and Oracle Research Lab, which later became AT&T Laboratories Cambridge, where he was immersed in technologies such as VNC and the Active Bat ultrasonic indoor location system which he helped to develop. He has also worked at the Xerox Research Centre Europe at Cambridge (formerly known as EuroPARC). Steve has a background in a broad range of computer-related technologies. His first degree is in Computer Science with Electronic Engineering, from University College London where he was awarded the Faculty of Mathematical and Physical Sciences Medal and Prize as the most distinguished student in the faculty. He subsequently received his PhD from Cambridge University Engineering Department in the area of Robotics and Computer Vision.